Follow our progress as we create the line-up of presenters, and set our hour-by-hour schedule for the 7th ANNUAL MISC HOODOO TRAINING WORKSHOPS, May 4 - 5, 2013 in Forestville, California. * Five programs per day for two days on a pay-as-you-go basis (no flat fee, just sign up for the workshops that interest you). * Readers and Rootworkers of AIRR will be available on-site for in-person reading, consultations, and hands-on spiritual healing on a pay-per-services basis. * FREE programing and social hang-out space, plus free potluck food for those on a limited budget! Ticket sales begin on JANUARY 1, 2013. It is going to be a wonderful time! This will be the first Workshop Weekend I will have to miss of the last three, so I urge everyone who can to go join the group and fill my space! I have never had any less than a spectacular time at the Workshop Weekends. Plus, it's great to put faces to names, etc. Get on this! Oh no! Joseph you will be missed for sure! I already have my calendar marked and already working out plans to be there. I hope you have a great time Papa Newt. Hopefully there will be lots of pictures for me to view after the weekend is over! Oh there surely will be! Love Potion No9 got that covered. I figured her photo talents would be put to the test this coming Spring! I can't wait to see the slew of photos and blog posts that will come out after the Workshop Weekend! Are these workshops something an interested newbie could attend or would it be wiser to wait until finishing the correspondence course? ...and yes, everyone is encouraged to attend! This is another great way to bring our community together as well. It is an opportunity to meet and greet at "Home Lucky Mojo"-- the most magical place on Earth ! If anything, octobersometimes, I think the Workshop Weekend could only HELP you really apply yourself to take/finish the Correspondence Course. I would not miss it for anything! Are the 2013 workshops open for registration yet? I keep checking the site, but it does not look like you can sign up yet. Don't want to miss out! Dr. E. is working on the sign-up page and should have it ready soon. He has been interrupted in his task by the most wonderful of excuses -- he and his partner are moving in together to a new house in a city nearby where they both live and he is hauling altars, books, supplies, furniture, and candles there like crazy. He will get the sign-ups made by the end of January, i am sure, but instead of worrying, we shall llft a toast to the happy couple and say, HOORAY FOR LOVE! Like like like!!! Dr E! Thank you so much for the update! I can't wait for the workshops and just didn't want to miss out. I'll keep checking back! It is January, does anyone know when we will be able to purchase tickets? It has been announced yesterday during the Lucky Mojo Hoodoo Rootwork Hour. Dr. E worked hard and got the tickets up and ready for purchase. Tickets can be found here. Does anyone have recommendations on where to stay? I'm not familiar with the area and it's a 10 hour drive so where I stay will determine whether I drive or fly. Spellkiss -- Uh-OH, thanks for the feedback. There is indeed something wrong with the coding for the tickets for the Queer Conjure Colloquium, and it erroneously says "tickets not available." Luckily, as it turns out, i have a skype meeting scheduled with Dr. E. (who coded the page) in about half an hour, so i will ask him to fix it ASAP. I will post back here when it is running right. Oops! I have fixed the problem. The tickets should now be available. Thanks for the link Mama Micki! I am not sure where to post this. If anyone would like to cut costs on the trip to Forestville, CA for the workshop, and would like to share a hotel or rental car, message me. I will be flying in from Tulsa, OK.
Just a tought. Thank you. Can't wait to attend this workshop. Also, if people are interested in doing the apprenticeship programs, we could share hotel and retal car also. I just purchased tickets on evenbrite for every class except Miss Robins. It keeps telling me that the email address for her class, does NOT have a paypal account. Is there anotherway I can pay, or will it be available to purchase at a later date???? Thank you so much!!! I'm so excited!!! I already bought my plane ticket. yes, I'm having the same issue as Jamey trying to sign up for Miss Robin's workshop. Hello, I have a questions for the workshops, specially about the cook off, I would like to summit some recipes but all the information online has the dates from last year. When is the deadline for sending the recipes for this year, and do we bring the food on May 4 or 5? Can we bring the food already prepared instead of cooking there, just like last year? Hi Gabriela10, the due date to submit you recipes is April 1st. You can also bring the prepared food with you for the Cook-Off. Tasting the cook-off food is certainly a remembered highlight of mine from past Workshop Weekends. Delicious entries abound! 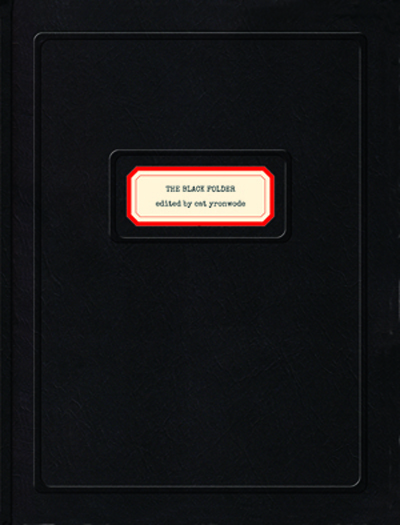 If you attend the May 4-5 2013 MISC Workshops in Forestville, California, you will receive a FREE copy of this all-new 2013 edition of The Black Folder -- 136 pages long. It is not on sale as i write this, but it will be available through our book store after the workshops. 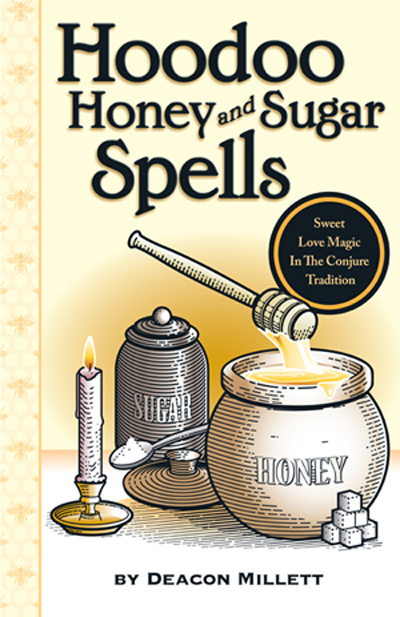 Plus you get an incredible opening section by Deacon Millett filled with recipes for making your own sugar scrubs, sweet bowl spells, and baths! Trust me, after this book comes out, the information you have always wanted will be available in one easy-to-read compendium. Thank you very much for your response Papa Newt; I forgot to ask one more question. Should I mail the recipes to the Lucky Mojo shop or it would be better to e-mail them? I am asking this because it is easy to copy them and paste them from an e-mail if you want to print them for the book. Thanks again, I am very excited, this is my first time participating. So jealous of the people that will be attending this year's Workshop Weekend! Especially with the unveiling of these two books. Alas, I will have to be content ordering the books and enjoying them on my own time. Gabriela10- The Conjure Cook-Off Page suggests emailing them to Sister Robin. Her email is robin@luckymojo.com. The publisher is Missionary Independent Spiritual Church, the book is 96 pages long, the retail price is $9.00, and this book will be available to shop customers at that price, but only AFTER the Workshops. Thank you very much for the info Papa Newt; with my dyslexia I usually miss a bit of it I will send everything to Sister Robin. All three of these books will be on my shopping list for the end of May! Hey, folks, over in Facebook, Jacqueline Mathers is organizing a condo rental for rommates to share during the workshop weekend. If you are interested, contact her directly. She is Jacqueline Mathers on FB, so just look her up. The workshops this year really are going to be one-of-a-kind. We have some amazing workshops planned, the release of three new books, and a chance to meet the members of AIRR as this year there will be more AIRR members then ever before. You really don't want to miss out on the workshops. I personally have been working hard on my skull sorcery workshop and can tell you that I've got some great things in store for you all. I am also excited to be taking some great classes taught by my colleagues. I hope to see everyone there. Be sure to come up and say hi. For a while there I didn't think I was going to be able to swing the workshops financially but I decided to drive and found a cheap room on AirBnB and made it work. I'm so excited now! This is going to be a very unusual Workshop Weekend, as we have so many AIRR members coming out, plus this year we will feature the introduction of FOUR new books and a 2-CD set as give-aways with classes. One of these books-- The Black Folder -- will be given free to EVERYONE WHO ATTENDS, and the other four items -- the Art of Hoodoo Candle Magic book, the Hoodoo Honey and Sugar Spells book, the Hoodoo Food! 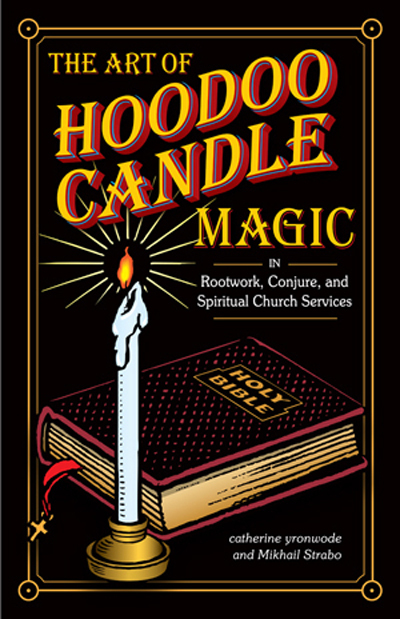 2013 Conjure Cook-Off and Recipe Round-Up book, and the Hoodoo Jukebox CD-set-- will be given to those who attend various workshops -- and this is in addition to the usual workshop giveaways and spell-casting materials, including candles, oils, powders, and amulets. This year looks to be the biggest Workshops Weekend we have had yet! We are all pretty excited for it. We have finally confirmed our arrangements for the Hoodoo weekend and we have a large (possibly queen) Murphy pull down bed in the living room of the condo we are getting for the Friday through Sunday Hoodoo Weekend (May 3-4-5). A Murphy bed is a bed "hidden" in a wall that you pull down (if you did not know). There will be three other "hoodoo roomies" - all in the bedrooms. We did this last year and had a blast! The price of the Murphy bed from Friday night to Sunday morning is $100.00. You have access to a full bathroom, kitchen, laundry closet with fully functional machines, and a fully furnished condo in a park-like setting (but we'll be up at cat's anyway!). There are bed linens and towels, but you might want to bring extra anyway and I think there is a pool/hottub set up as well. We usually eat out with the exception of morning, where we have bagels, fruit and juice/coffee before heading to Forrestville (the condo is in Windsor - just down the road). There is off-street parking, and you probably can carpool with us since we are all going to take classes. Considering what hotels go for in the general area, this is a good deal. If interested, please contact me off group at jacqueline (at) tarotbyjacqueline (dot) com and we can work out payment arrangements. All payments must be made in full before May 1st, and we can do this electronically through PayPal. I wanted to thank Miss Cat, nagasiva, the presenters and all of the hard working folks in the shop for an AMAZING workshop weekend. It was my first time attending and I was blown away by all of the great information that was shared, all of the wonderful hands-on experiences, and the generosity of all the giveaways. Thank you all and I look forward to next year! I really want to share with y'all that coming out to the workshops helps to "rejuvinate" you, especially if you do work for others. It is a chance not only to learn, but to bond with people in our community! The workshops are typically held in the month of May; it is a beautiful time of the year to go to Forestville and the month of May is our Miss Cat's birthday!!! I am looking forward to seeing all of you who attended this year...next year; in addidtion, there will always be new bright faces to get to know in this great community!!! Thank you Miss Cat, Nagasiva, all Lucky Mojo staff of friends and all of the memebers of AIRR who presented!!! Being my third Workshop Weekend, I must say it never disappoints. Great conversation, and great to finally put some faces to the names we see so often on our orders. Maybe next year I will also be hosting a workshop, at least that is a goal I have in mind. Just asking for planning on next year - if one is driving in, how is parking worked out? I have been to Lucky Mojo, including last Saturday! Sophie was very attentive and made quite sure I gave her due pets and attention! I am just wondering if you have an agreement with the corner businesses, park down the street etc. Looking forward to trying to go next year! Folks park in town. This is an unincorporated rural area with no metered parking and no municipalparking. Folks often use the two church parking lots, the high schoolparking lot, or whatever they can find! If you are respectful and friendly you will have no problem finding parking in Forestville. I want to thank everyone who came out for the 2013 MISC Hoodoo Heritage Festival Workshops -- we had a great crowd, some great teachings, and were able to bring the church's book publishing projects to a new level of wonerfulness with The Black Folder and The Art of Hoodoo Candle Magic, as well as our annual Hoodoo Food! cookbook. Thanks, all!